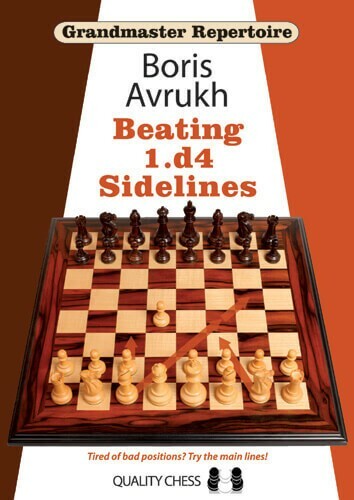 Most chess players are comfortable using their favorite defense against 1.d4 followed by c2-c4, but it is not always easy to find an antidote to the many sidelines at White’s disposal. From the bodacious Blackmar-Diemer Gambit, to the villainous Veresov, to fiendish fianchetto systems to the treacherous Trompowsky, Black must be ready to meet a whole array of slippery systems, each bringing its own unique dangers and challenges. Grandmaster Repertoire 11 – Beating 1.d4 Sidelines provides a sound and active repertoire against virtually every non-standard opening line at White’s disposal after both 1.d4 d5 and 1.d4 Nf6. Where applicable, Avrukh covers each White system after both 2...e6 and 2...g6, making this book suitable for fans of the Nimzo-Indian, King’s Indian and Grunfeld defenses alike.